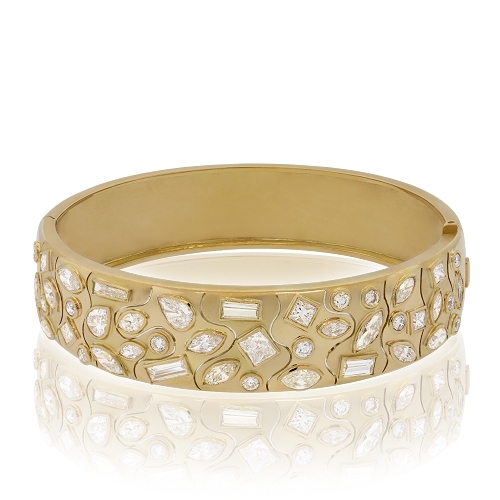 18k yellow gold wide bangle with scattered individual multi-shaped diamonds. Diamonds approx. 6.50ct.